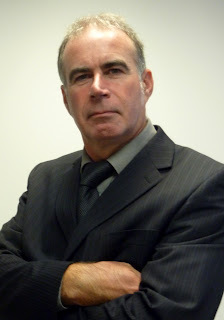 Neil Ashdown has been appointed General Manger of the Fire Door Inspection Scheme (FDIS). His recruitment comes in response to the increasing number of people registering for the FDIS Diploma and the launch later this year of the official qualification for certificated fire door inspectors. Neil has worked in the door and timber industries throughout his career, most recently running his own businesses focussing on the sales of timber doors, joinery, loose timber and allied products, and the supply of non standard fire doors. He is a long-time member of the British Woodworking Federation and the BWF-CERTIFIRE Fire Door and Doorset Scheme. He has also achieved the FDIS Diploma in Fire Doors earlier this year – the diploma which he will now oversee. The UK’s Fire Door Inspection Scheme is the first such scheme in Europe, providing professionals with online learning leading to a Diploma in Fire Doors, and a route to become a certificated fire door inspector. The scheme is designed to help improve safety and save lives through creating a new pool of expertise and competence to help those with legal responsibilities under the Regulatory Reform (Fire Safety) Order. It provides a vital new resource to help the ‘Responsible Person’ complete fire risk assessments for the premises they manage. It also raises awareness of defective fire doors and the potentially tragic consequences of leaving these unchecked.